As firefighters continue to battle wildfires across the province, paramedics in Renfrew are taking a novel approach to keeping crews safe — working right alongside them. For weeks, dozens of fires have been raging across Ontario, with many still not under control, and a number of northeastern communities are on evacuation alert. 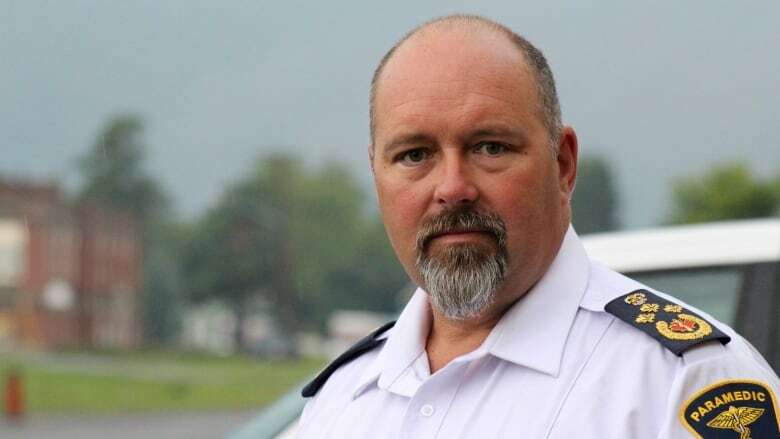 "As I drove beyond Deep River you can see this heavy haze hanging in the air," Mike Nolan, chief paramedic and director of emergency services for the County of Renfrew, told CBC Radio's Ottawa Morning. Driving further north, he said, the bush is burned out: "It goes from a beautiful, lush, really idyllic situation, to one that looks straight out of a horror movie." The severity of the situation is what prompted paramedics — a special team called "Sierra" that does work in remote areas — to stand shoulder to shoulder with firefighters to meet medical needs as they come up. It's unusual to have so many forest fires burning in Renfrew County at the same time, Nolan said. The paramedic chief believes it's the first time Renfrew paramedics have done anything like this. Paramedics are on the front lines with firefighters and ready to go into any situation to help a firefighter in need, he said. "Our goal is to stay back, allow them to do their job," he said. "Should one of those firefighters be consumed by smoke, for example, have a medical emergency, or even step on a bees nest and have an anaphylactic reaction, we're prepared to go right to the individual, regardless of the situation." Nolan said the medical team has been working alongside firefighters for almost a week now and have had to fly out a number of firefighters, dealing with issues such as back injuries and knee injuries. They've also treated a number of cases of heat exhaustion. He added the goal is to keep every emergency worker safe, including the team of paramedics. "But there's an inherent risk in the type of work that they're doing and the distance they are from any other medical services," he said. By having a team of paramedics right there, Nolan said they're able to provide better care to firefighters and ensure paramedics in surrounding areas aren't pulled away from their communities.